Previously, we had a look at the healing power of Chinese massage, and now we will go deeper to the mystical land of Xi’an and it’s happy offerings. Enjoy! The more one visits China, the more it becomes apparent that the beautiful Asian country is an inexhaustible source of the impressive history, tremendous cultural places and abundant as well as somewhat still unexplored tradition. It seems that a trip to China should last quite a long time, if the traveler yearns to research not only the capital, Beijing but other cities as well. Among the cities that offer fantastic historical stories and even more interesting places that are indeed worth seeing, is the ancient city of Xi’an. There are no many cities in the world with proofs that humans used to live on their territory some 500,000 years ago, and Xi’an, one of the oldest cities in China, can do just that. Some 50 years ago archeologists found traces of the so-called Lantian man who used to roam through these areas that have never stopped to be the important center of civilization to modern times. But the most remarkable period of Xi’an’s long history started with the first Chinese Emperor Qin Shi Huang, who had decided to construct its new capital in this area. The Emperor was so in love with the region that he picked it for its final rest too, and he had done that with a style – by ordering the construction of a massive mausoleum that was guarded with 10,000 sculptures of soldiers. The Terracotta Army together with the mausoleum is truly one of the most remarkable engineering projects that human civilization has ever had a chance to see. Everything in Xi’an is enormous and monumental, and so is the Weiyang Palace that, in fact, used to be the biggest palace on the Planet, and it was almost seven times larger than the Forbidden Palace in Beijing, for instance. One can still see some of the remains of this great building that witness of past glory of the whole city. Xi’an has always been a place where different cultures quickly found a way to live together, so the first big community of Muslims in China was formed right here. Anyone visiting Xi’an and looking for some fun will inevitably be directed to the ‘Tang Dynasty Palace” that will undoubtedly remain etched in the memory of every guest and visitor. The outstanding venue has an incredible offer and an excellent combination of serving dinner to its visitors while, at the same time, a well-trained and above all fantastic team of performers leads the guests through an exceptional story, the so-called “Tang Dynasty Music & Dance Show“. 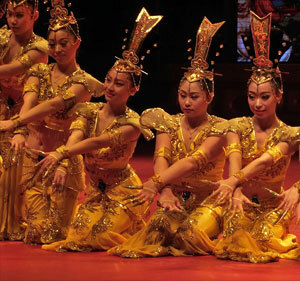 In this way, the performance preserves a great memory of the golden period in the history of the Tang dynasty. The visitors will have the opportunity to witness a tale about one of the most prosperous and famous dynasties in China, the Tang Dynasty. During the glorious times of its reign, the Tang Dynasty brought many positive things, and its most distinct feature was that the Tang did not hesitate to import traditional, cultural and artistic techniques from northwest China as well as from the central and western Asia. That is why the ‘Tang Dynasty Music and Dance Show’ combines playing various oriental instruments, dancing, singing and poetry reciting. What is more, the performance is completed with phenomenal costumes that depict stunning history, tradition and customs. The show contains many ethnic elements that beautifully fit into the music and dancing moves. However, creating the show that continues to enthrall thousands of either domestic or foreign visitors was not easy at all. Creators thus had to read various and numerous books, monographs and historical records. That is why anyone who visits Xi’an and the ‘Tang Dynasty Palace’ will enjoy in both the performance and meals offered in the magnificent venue. Many prominent chefs say that Chinese cuisine is one of the “Three Grand Cuisines,” together with the French and Turkish, so trying some of their best dishes is a must situation. The Tang Dynasty Dinner and Show thus has its restaurant with various exquisite Chinese meals with exotic names such as ‘The Heart of the Dragon’, ‘Pearls of Cathay’ or the ‘Royal Marriage’. Some of these meals are comprised of dozens of different kinds of dumpling including chicken, pork, beef, prawn, abalone, pickle, walnut and many others. Xi’an is well known for its dumplings but also for its magnificent rice wines that will fit the best with these various meals. Xi’an will, therefore, show the visitors a true China, tasty meals and amazing tradition and history. And the ‘Tang Music and Dance Show’ is indeed a must see event for every tourist visiting the ‘Tang Dynasty Palace.’ Happy & safe traveling!! The Golden Mask Dynasty Show at OCT Theatre may be one of Beijing’s best kept secrets. Nestled in the Happy Valley Amusement park in an architecturally stunning building, the show brings tourists out of the hustle and bustle of Beijing proper for an hour of amazement. Although the theatre itself is smaller than it’s local counterparts like the Beijing National Theatre, the show somehow manages to fit in an extraordinary amount to seduce all the senses: light effects, vibrant costumes, a well-rehearsed orchestra, acrobatic illusions, and towards the end, an actual waterfall that flows over the edge of the stage. The show, encompassing over 200 actors and actresses, both national and foreign, tells the story of the Golden Mask Queen as she guides her dynasty through war and into peace. Throughout the eight acts, there are nearly 20 different dance ensembles to tell about the post-war life in the kingdom. Like most great shows, the Golden Mask Dynasty follows a love story between the Golden Mask Queen and the Blue Mask King. Towards the end of the play, the plot explores a deeper theme of sacrificial love as the Queen faces a somber decision when the floods threaten to destroy her land. Without a doubt, the highlight of the show is the acrobatic displays, which not only mesmerize, but also remind us of China’s extensive history in acrobatic performance. Founded around 1600 BC by the Shang Dynasty, acrobatics have long been a tradition in Chinese culture. Previously enjoyed only by the wealthy, modernization and technological advancement now bring this ancient art to people of all classes to put us in awe of what the human body is physically capable of. From end-to-end backflips, to steady standing splits, to flawlessly synchronized dance ensembles, the show captivates from beginning to end. For the grand finale, the Golden Mask Dynasty Show does not disappoint. The queen stands atop the flood, facing her dilemma, as she watches the villagers try to navigate the rising water. The actors and actresses below move through the flooding stage with such astounding grace that it’s hard to believe they’re wading through knee-deep water. By this point, the storyline is so enthralling that the actor’s struggles have become our own and the building crescendo of the orchestra gives rise to an overwhelming empathy for the Queen and her people. Due to its brilliant costumes, a beautifully crafted set, and the fine-tuned talent of the actors and actresses, the Golden Mask Dynasty Show is not to be missed. Despite it’s being a short distance from the city center, the drive, money, and time are sound investments. There are no better ways to finish a day’s worth of exploring Beijing’s history, culture, and architecture than with a show that will amaze and excite, and turn the mind outward towards the rich history of a Chinese Dynasty. When looking for options to increase well-being and promote happiness, different kinds of massage is often recommended as an easy, pleasurable option. Especially those who are dealing with issues of stress or any kind of fatigue, just laying down horizontally with oil scrubbed to your back for an hour sounds like the thing to do. However, choosing the right kind of massage can have much profound and long lasting effects in your entire mental, and physical energy levels. When looking for an effective type of massage, an obvious place to look is China. With more than 2,000 year old history within the school of traditional Chinese medicine, massage plays an important part in promoting health and curing illnesses. While often dismissed as non-scientific in for the ignorant western mind, the techniques known as “Tui Na” in China are ancient old and taken very seriously when considering once health. There are many so called “Chinese massage” establishments throughout the west but only a small part is specialized in holistic healing methods that are very common in China itself. That’s why one of the best experiences for anyone visiting China is to find a quality place to have a massage. And come back home not only satisfied in abundant culture and travel experiences, but with a healthier, happier state of being. Of course professional massage parlors and spas can be found all over the world with a bit of luck and good research. However, these quality places can be rather expensive unlike in China where all the streets are abundant with parlors. Instead of spending huge amount of money for treatment in your own country, with the same price it’s possible to buy a ticket to China. There you are much more likely to learn what real, authentic Chinese massage is. One of our personal favorites is the ancient Chinese capital of Xi’an. Not as popular with tourism as Beijing or Shanghai but even more vibrant with culture and tradition. Naturally having been the capital throughout many Chinese dynasties, it has played an important role in developing these massage techniques that are still actively used all over China. This doesn’t mean however, that you can simply step into any of the massage parlors in Xi’an for example. Because as is already common in all over the world, not all shops are equal, especially with abundant prostitution in these kinds of places. This shouldn’t put off travelers as quality places are equally abundant. For anyone heading to Xi’an for travel, I would recommend the Xi’an Massage Guide which are helpful in showing the ropes. I simply sent them the address of my Hotel, and they thought me an excellent place nearby, with licensed masseur that were specialized in anything from whole body massage, cupping to foot massage. 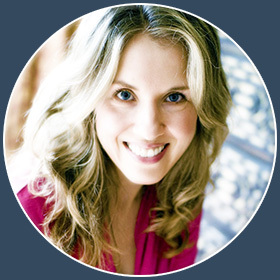 All the different forms are focused on acupuncture points that unlock wellbeing within you. No oils are used which is common in western massage sessions, instead pressure and stretching is used to push as well as active these points. It might even feel quite weird after locks in your body have been opened, which is only a matter of adjusting to a new, better you. Besides everything, Xi’an is a really magical place with an energy that promotes openness within oneself. Feeling free and absorbing the ancient streets together with the long lasting effects of the massage, makes traveling all the way to China worthwhile! Not so many people know about this, but the French are some of the most leading experts in happiness therapy and self couching. While there are many different advances in differents parts of the world, for me the french revolution has been one of the most rewarding ones. But it all started from chance, on one of our visit to France. You see, we are occationally invited to all kinds of countries but this time in Paris we had the least of expectations. It was a small venue and just because we were travelling nearby in Europe we decided to accept the invitation. While we have had much success in smaller events before, this just felt an ordinary change to just voice our research for a small group of people. Turns out that we met some of the most leading experts in France, from psychologists to therapists all with very creative and new methods to approce problems of mental as well as holistic health. We felt inspired and from then on have been following the French scene very closely. In fact we have already four visit to the country until date, now that’s a fun coincidence if any! But this book is not just about out experience. We wanted to let you know some of the very concrete pieces of literature that you can order from Amazon France which is a brilliant book store for shopping all kinds of fantastic products. Remember to check out the link because it will tell you how to shop in English. That is, if you don’t speak French. Either way, Amazon has very decent priced international shopping, so no need to miss on this opportunity if you want to not only get to know about French self help books. But also, this is always a great opportunity to get new stuff to your library collection while learning something about yourself, in a new way. So hold on as we show case some our very very favorites from the shelves of the French Amazon. This is one of the most ground braking books we have honestly seen in recent years. Also, we have had the incredible luck of personally meeting with the author who left France to becoming a monk in the Himalayas. A multi-talented man, who works with several very interesting and touching humanitarian projects in both Nepal and the Tibet. He is not only a bestseller, but also holds a degree in cellular genetics. He is also the son of Jean-François Ricard, who is an extremely famous philosopher in France. His book, “Happiness” is a living example of how the key to finding it is within all of us. Through his disciplined practice as a monk for more than 30 years, he is able to penetrate through a voice that belongs to everyone. This very belonging is what gives us humans the need to thrive and live a fullfilled life. What I especially love about this book, is that it has no need to tell us what to think but simply encourages us to find our own path of happiness. As an accomplished French scientist, it brings a unique view that is easy to approach by people from different walks of life. The inspiration that blooms within the text is simply astonishing. Highly recommended read for a very basic and fundamental course on finding your inner beauty and meaning in life. Written by the new and fresh french author, Mr. Laloux this book is one that touches those who want not only to find something within themselves, but to extend the framework to a work and organization environment. Now available on Amazon France, this fantasticly written and delightful text takes you to a journey of managing organizations. It starts with the notion, that convential methods are terribly out of date and once you start to understand the negative sides of familiar, and even isllusioned work ethics it is simply second nature to find better solutions. Understanding that not every solution fits the needs of everyone is one of the very founding blocks of this new way of thinking. Frederic argues, that we are constantly seeking for a better working environment through more passionate and purposefull community kind of structures. The emotionless work place is the exact opposite of what human nature needs and every moment of our lives should nurture that need. What I most love about this book that is breaks the mold to show you that solutions and a better organization structure is right in front of our noses. Naturally, we need to get out of our shells and work together for a common, happy goal. Some even say that he has “cracked the code” of a new kind of work consciousness that will prevail in the future throughout the world. Very interesting read and a novel attempt to make a huge change in our modern world by this highly intelligent French man. Enjoy! As you could see, all these books are in English. So even if the Amazon website is not, things are changing and literature is not only being translated but even original French authors are starting to write to an English speaking audience. That is simply fantastic isn’t it!! This book french collection was recommended by “How to be Happy” experts, Sonja Jacobson & Dr Aymee Coget. A huge thanks for tuning in and see you on the next happy post coming soonish! We at “How to be Happy”, are always looking for new ways as well as new horizons to explore our happiness. And it has become clear to us that the state of your physical body is one of the most obvious representations of your mental state. That’s why various forms of exercise and just knowing your physical condition in general has tremendous potential and benefit. Whenever we see such innovation where people have went far to cross boundaries of their bodies, we feel inspired and compelled to write about it on our blog. Previously we mentioned the Chaoyang Theatre, where acrobatic performs go to huge lengths in order to perform something that is beyond ones imagination. It is often for depressed people, that this beyond state is where the cure is located in. Now we are looking at the very essence of happiness through health itself, both of the body and mind. But we do understand, that not everyone can become an acrobatic performer in order to overcome their undesired states of mind. That’s why, we wanted to bring you something more concrete and that is the art of practicing martial arts. The benefits of happiness are just the beginning of the journey that we have taken after first visiting the acrobatic show and then, the other most famous show in the whole of Beijing. That is known as “The Legend of Kung Fu Show”, held at the ingenious Red Theater in Beijing. That is why in this article we will concentrate on the benefits of Kung Fu, which refers to all the martial arts in the whole of China. Those people who are looking for inspiration, travel and excitement, we highly recommend the famous Kung Fu Theater in Beijing. Along with the Chaoyang Theatre acrobatics of course. China has become one of our favourite places to play and explore our boundaries, it’s just such a novel and refreshing place to be in. Before getting on to the list of health and happiness benefits of practicing martial arts such as kung fu, lets just see what health really is? So by definition, health focuses on overall well being, not just physical. It includes mental and social aspects too! As per this definition, anything focusing on physical well-being is just part of keeping you healthy, but not the one which can lead to overall health. Health benefits of Martial Arts? Keeping in view the definition of health, lets see some of the health benefits of Martial Arts. This one is the quite obvious one; the person practicing martial arts gets physically fit and active. The strength and energy provided by physical activity keeps a person in a good shape and physical health. Mental wellbeing is an equally important part of being healthy. An active body provides help in having an active and healthy brain. People who’re more physically active are more active during the daytime for work and study. Martial arts specially improves the skill and patterns identification in mind, that help in better learning and execution of overall daily routine. Being physically active makes a person emotionally stable, hence having good social terms. Martial arts is specially helpful in social wellbeing as the individual is capable of protecting the people around him and thus enjoys better social relations as compared to the weaker ones. The student of martial arts gets a community of other healthy individuals practicing along with him and the chain grows over time, making the society more and more socially stable and healthier in this aspect. Martial art provides and enhances body and mind coordination, providing rhythm to overall body movements and not just during fight. Martial arts practitioner can be identified just by the way he walks even. Martial arts is all about discipline, it’s not just being strong and learning a few techniques, but attaining a great level of discipline, not just in dojo and conflicts, but in every aspect of life. Improves mental capabilities, including coordination, reflexes, focus, self-control, memory and self-confidence. Martial art doesn’t make you aggressive, instead it teaches you how to control your anger, frustration and aggressiveness. Martial arts and especially Kung Fu provides overall positive attitude to the practitioners, making him not only capable of defending himself and others during the conflict, but also improve his life during normal days and routine situations by giving him confidence and self-control. Hoped you felt as inspired as well felt when we were writing this article. And if you are looking for the final boost to get you started and exited about kung fu, and kung fu theater of course. Well, we suggest you to watch the fantastic Red Theater show trailer on YouTube. Have fun and play safe everyone! It’s fun to think about questions that can never have an ultimate answer. Such as title above, “Who invented happiness”. When you really think about it, of course it is nonsense in the sense that there is no one real answer to that question. But it doesn’t mean that it wouldn’t be enjoyable to think what the question may be. With happiness in general, this kind of approach is for us something very close to happiness itself. It is when people try to attain an ultimate answer as “fact” to all of the many questions that come to us during a life time. It is that very approach that prevents us from attaining happiness. It sounds paradoxical at times, but this is the case often enough that we have almost forgotten who we are. To remind all of you, we are ever changing beings. Everything that you believed a long time ago, must have changed in some form or another. In other words, we are subject to change as the iTunes terms of agreement. Jokingly of course. There is just nothing wrong with thinking of lifes question lightly, because you never know what you find. It could even be, happiness. The reason being, that happiness is not something you can just grab and take hold of. It comes to you, when you let it come to you. And as for who invented all that, well.. the answer is you! All of us have numerous examples in life, of looking up to something and receiving happiness from them. It can be anything from an individual person to a greater force. It doesn’t matter what it is, but it is a fact that sometimes everyone needs an outer force that helps them to realise their own inner happiness and strength. Probably strength is the keyword here. One tremendously strong group of people that I personally look up to, is the acrobatics troupe at the Chaoyang Theatre venue in China. If you have never seen Chinese acrobatics, I can tell you that the western equivalent is nothing compared to the action in Beijing. The performance that they make, is like a powerful force that gives energy and light to all that see it. After having seen the show, my head was glowing with light for several days and I could not stop smiling. The acrobatics had given me secret power and that power is known as happiness. Others will have similar examples. Even if you don’t remember any at the moment, there has to be moments like that in everyones life and it doesn’t have to be something as grand as the acrobatics at Chaoyang Theatre. But while those are great memories, they are outside forces and should be considered as such. For example, if you think that you can just go about your day while staying at the same height of energetic level that you had just received. Think again. It takes maintenance and courage to take that energy and transform it to something that you truly are. Obviously the Beijing acrobatics have that very skill and they are transmitting it to you.. but everyone has a different way to manifestation, so that it becomes your passion. Meaning that probably acrobatics is not your thing, it’s the thing of the Chinese. They excel in it because they have been passionately driving towards that goal and made it. So the ultimate question is, what is it that you are willing to do to make yourself happy? What is the effort you are willing to make, because without it there is no long lasting happiness. It will be just another roller coaster ride, going up and down and seeking balance from that. Almost no one in this world thought up everything by themselves. They needed an example that could give them ideas, courage, strength and inspiration. And I am not the only one who thinks that theatre can have a strong influence! When you have found that special someone or something, sometimes it’s good to continue to engage with it. It’s a kind of a constant feeding process where you look for answers in the process. Once you have found your answers, you don’t need them anymore. You can just say good bye, and thank them for everything. That’s the hard part and once you understand it you are ready! Most will keep on going.. holding on to that force, but there always comes a moment when you have to let go. For some it’s death, for some it’s the moment when they reach happiness. I personally prefer the latter option. It’s good to make a conscious decision about it! Since I had received so much from the experience at the Chaoyang Theatre in Beijing, I decided to reach them at their official twitter account. The results were great and I could get in touch with their feelings see the similarities, the differences. But most of all I saw a happiness glowing in both entities. And after I realised that, I could let go and move on. And that doesn’t mean that I will ever forget the amazing acrobatic troupe, it just means that I will go to experience more theatre and see what I can learn from there for example. The power of laughing and smiling is simply incredible. It can have such a huge impact in ourselves as well as the whole environent around us that everything simply transforms. This transformative effect is badly needed in todays gloomy and depressed world, where change is the thing that we should embrace. Afterall one cannot achieve happiness if one doesn’t change. Surprisingly there are many who don’t seem to understand that, or simply think so without real action towards real change. Of course, we have symphaty for people who have so much difficulties to become something else and to overcome what they have become and failed. Being true to onself, one has to face the realities that have been made for onself. Meaning, that what lies behind that identity of your name is something that needs to be changed. It’s like death, people try to avoid it, but this time it’s not the death of your soul but your mind. You change one word to another, like hate to love. In the same way, when you change a sad face to a smile and laughter everything becomes something else. The thought of new scares us, and makes us afraid and at times even cold hearted. It never surprises us to see to what extent people are willing to go, for the protection of ones ideas. But those ideas will have to go, and once they drop as if automatically. Then laughter will come and with that laughter, change will come. And then, you are ready to begin to journey to happiness. You know when a lot of “happy advice” that is meant to get your spirits up and help you grow as a person, is all softly and considerate. This is not always a good thing, because a lot of people are lacking self esteem and need energy and power to get things fixed. That’s why some people who are looking for a “soft touch” to their problems, should be in fact looking for harder, tougher and more effective solutions. I know a lot of people are going to disagree, but I am just sorry for those people. Because I am not giving this advice, so that people could just feel good about themselves and get results without nothing. This is not reality, and I strongly believe that most people are getting this wrong. We at Happiness Maker Over are dedicated to bringing real results for people who really want to do something. For a lot of people, this means big problems.. so big that they have to act now and hard. So that in some ways is a blessing too. Small problems wont get you much anywhere. Catharsis is highly important within our happiness philosophy. And the thing that makes people the most afraid. Coming out and spitting out your emotions like a lion is one of the most freedom giving experiences, and difficult ones to grasp. That’s why we don’t go 100% full on from the start, but start with understanding. That’s already half way down the road. However, the ultimate result is huge work that makes your mind and body go against it. Let’s call it, the experiment for happiness. You will never know if it works or not, if you never try it out. That’s one of the most important lessons I learned from the amazing Aymee Coget herself. We want to make clear, that we are not just a bunch of unrealistic “happy thinkers”. We understand that there are a lot of so called “hard realities” in our world, that need to be accepted to find a balance in life. Money is one that we feel is becoming rather controversial as well as debated. We at “How to be Happy”, think that money is essential for becoming happy. In fact it seems one of the most powerful ways to achieve some kind of satisfaction within oneself. And it’s not the money itself, but the situation that it creates that makes you think out of the box and search for it outside of yourself. We have often encouraged others to start affiliate marketing. It’s really a great way to balance your income, with your passion. These two when work together can create amazing results. While it’s not a business that is often seen in good light, it’s actually far more ethical than many other businesses. One has the opportunity to write about something they are passionate about, and even without any commercial intent you can later consider placing different kinds of affiliate links when appropriate. Especially if you have a happy image to spread in your blog, one can have a huge impact on the world and receive readers from all over the world. In fact, that’s why it’s very important for example, to localize Amazon affiliate links so that each visitor from each country is going to be redirected to the right Amazon store. In fact, a lot of people start with Amazon as their first affiliate, being one of the first ones that ever existed it still remains one of the most powerful ways to associate your writings with all kind of different useful products. A good example would be, that you are writing a blog post about how you have overcome depression. Some of the most effective posts are ones that are personal experiences. That increases authenticity naturally as well as the curiosity and trust between the reader and you. Then, if you know a really good book that has helped you in your path you just need to link to it using the Amazon associates program. For every purchase, you will receive anything starting from 4% commission which is not bad at all for being an automatic source of income. The key I believe, is just to use it for good things and to promote wellbeing. Of course, like every good thing in this world it can be used in a bad way too. So being honest is important here and best of all that very honesty is what will bring you the profits. The combination of a steady income through affiliate blogging, with Amazon or any other affiliate program, as well as expressing yourself one is ready to start a journey. That journey is the one that is important for us all, it is the path to happiness which if can or cannot be achieved is not relevant. What is relevant in our professional opinion, is that you are on that road. You are not alone luckily, we are together walking that very same road. Peace & Good luck with affiliate blogging!